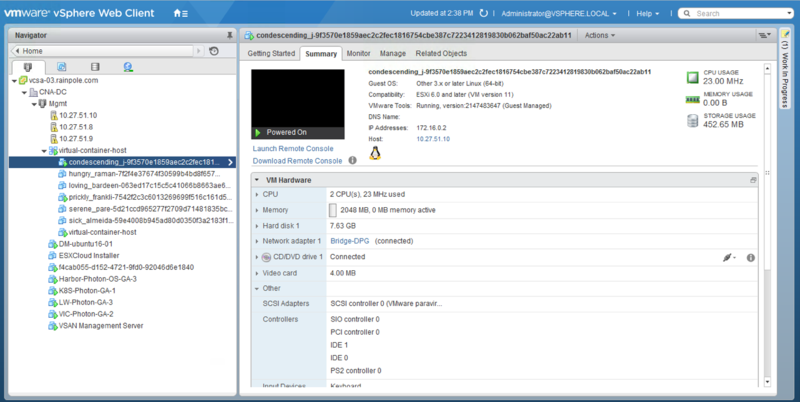 It’s been a number of weeks since I last looked at vSphere Integrated Containers. When I last looked at v0.4.0, one of the issues had been with port mapping not working. This was a bit of a drag, as in the case of web servers running in containers, you’d definitely want this to function. One of the most common container demos is to show Nginx web server running in a container, and port mapping back to the container host, so that you could point to the IP of the container host, and connect to the web server. I recently got access to v0.6.0, which has a whole bunch of improvements, and it also has working port mapping. So to demonstrate this, I thought I’d show off Nginx running in VIC. First of all, you need to verify that your Bridge Network is set up correctly. When using vCenter Server as a target for VIC, a distributed port group on a distributed switch (DVS) needs to be created. Now you must also make sure that the DVS on which the port group resides has correctly configured uplinks and VLAN settings to allow the containers on each host to communicate (if necessary), but also to make sure that the containers can communicate back to the Virtual Container Host. This can be confusing, because if the DVS or dvportgroup is mis-configured, containers on the same host can still communicate, but containers on different hosts cannot. This has caught a few folks out. I’m doing a simple deployment here with the minimal options. 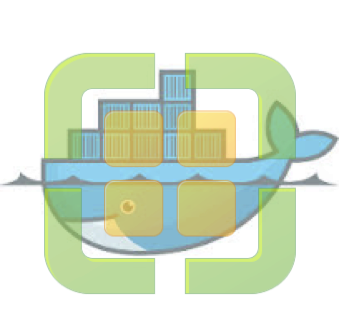 In the example below, I am specifying the bridge network (dvportgroup), an image store for container images, a compute resource, typically a resource pool, and the vCenter server and privileges. There are obviously a lot more settings to the VCH, but this is the simplest deployment of the VCH. As you can see below, there are 3 x ESXi hosts in my cluster. INFO[2016-09-21T13:20:53Z] vDS configuration OK on "Bridge-DPG"
INFO[2016-09-21T13:20:53Z] Firewall status: DISABLED on "/CNA-DC/host/Mgmt/10.27.51.10"
INFO[2016-09-21T13:20:53Z] Firewall status: DISABLED on "/CNA-DC/host/Mgmt/10.27.51.8"
INFO[2016-09-21T13:20:53Z] Firewall status: DISABLED on "/CNA-DC/host/Mgmt/10.27.51.9"
INFO[2016-09-21T13:20:54Z] Creating virtual app "virtual-container-host"
INFO[2016-09-21T13:20:54Z] Network role "client" is sharing NIC with "external"
INFO[2016-09-21T13:20:54Z] Network role "management" is sharing NIC with "external"
I now have my docker API endpoint – 10.27.51.32:2376 – so I can now begin to deploy containers. Let’s start with an Nginx container. The “-d” flag runs the container in the background, and the -p 80:80 maps port 80 from the container to port 80 on the container host (VCH), i.e. if you connect to port 80 on the VCH, it maps to port 80 on the container. All looks good so far. Now to see if we can connect to the web server (Nginx) running in the container using the VCH IP address and port. This is the same IP address as the one used for docker endpoint, but the web server has been mapped to port 80, whereas the docker endpoint is using port 2376. If you’d like to try out VIC v0.6.0, you can get it on github, or download the binaries from bintray. You can also get the latest documentation here. If you want more direction, and want to help shape the future of vSphere Integrated Containers, sign up for the beta here.